I am an experienced, dedicated professional with over 35 years of successful mental health, private practice experience. My constant mission is to use the gifts I was blessed with to give back to humanity. My journey started when I arrived in the U.S. from Italy at eight years old. While learning a new language I became very sensitive to my surroundings and very passionate about wanting to help people early in life. In high school I volunteered at a local hospital doing community outreach and began working at a therapeutic camp for children. As I was trying to decide on a graduate program, my supervisor suggested a Master’s in social work, this would allow me to follow my passion of helping people. After completing my degree, I worked in psychiatry at Maimonides Medical Center with abused children. This experience exposed me to the field of health care, and led me to medical school. Throughout my studies, I became interested in working with immigrants adjusting to a new land, and wanted to open up a culturally sensitive community mental health center in the heart of Bensonhurst in Brooklyn. The community was mainly southern Italian, people who came to this country to give their family a better opportunity. Given my own similar experience, I felt this was an area in which I could make a difference. The community, however, did not agree. I faced strong resistance, especially since Italians believe you keep your problems in the family, not share them with strangers. After a lot of outreach, slowly people began coming to our agency, which now sees 2,500 patients per month, with a waiting list. We have grown in staff, as well, with 40 therapist and four psychiatrists. I was approached by a private health care company to set up women’s inpatient programs in four parts of the state specializing in sexual trauma and eating disorders. Part of the role was to give lectures to clinicians in the community and market the private practitioner’s efforts and other community programs. Through this work, I began to understand the fragmentation between psychological and medical services, so I proposed a program that would combine the two. In 1983, Dr. Pallotta opened the Neighborhood Counseling Center (NCC), an outpatient mental health center in Brooklyn. She saw that many Italian families had moved to the community, and wanted to be able to offer them support services to help them better adjust to living in a new country. NCC has become a leading resource for mental health services in New York City and continues to thrive, treating over five hundred patients per week. After her success with NCC, Dr. Pallotta continued her leadership efforts in the women’s healthcare arena. In the early 1990s, before the women’s health revolution began, she recognized that medical care for women was fragmented and did not understand the essential connection between physical and emotional health. After receiving her Medical Degree, she opened Brooklyn Women’s Services (BWS), New York City’s first comprehensive health center for women in 1995. An affiliate of Maimonides Medical Center, BWS is a showcase center and remains committed to treating the whole woman, providing both physical and emotional health services. BWS’s program also includes a year-round free lecture series and symposiums for women on how to stay well and prevent illness. In 1998, Dr. Pallotta founded Women Against Violence (WAV), a non-profit violence prevention and education organization dedicated to empowering women of all ages with the ability and strength to avoid and recover from abuse and violence. WAV helps numerous women in crisis, who have been victims of violence and abuse, while at the same time offering preventive programs to help educate women, and the general community, about the problem of violence against women. Brooklyn Borough President Marty Markowitz recently appointed Dr. Pallotta as Chair of his Task Force for Teenage Violence. With extensive knowledge of women’s health, coupled with her commitment, passion and dedication to women’s needs, Dr. Pallotta is distinguished as a true visionary of women’s healthcare. 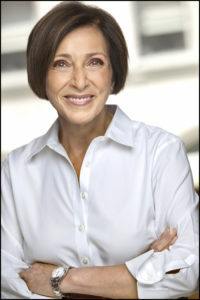 Given her expertise in developing and managing programs to keep women healthy and safe, Dr. Pallotta has been recognized by numerous prestigious organizations and individuals for her vision, knowledge, courage and ability, including the first annual New York Post Liberty Award Medal for Community Services in 2002. Please contact me with any questions you may have regarding my Mentor Program.